Last weekend I had a bit of a shopping spree and picked up a load of goodies which I thought that I would share with you. All products I have been loving during March/April. Some of which I have re-purchased this month as they are so good! All items I purchased in Boots, which if you don’t know is a huge pharmacy on the UK highstreet which stocks a wide range of cosmetics, hair and skin care products. Infact it’s where you can buy literally anything beauty related. I love it! #1: De-stress. Persian Silk Tree helps skin rebound. #2: Smooth roughness. Chestnut Seed Extract refines texture. #3: Delete dullness. Willowherb restores glow. #4: Shrink pores. Algae helps reduce oil to help them appear to vanish. #5: Minimize flaws. Blurs imperfections. From the first use, I noticed a difference straight away. My skin looks perfected and vibrant. My pores also seem to have shrunk and my make up now seems to last all day. Another thing I noticed was during that time of the month, I usually break out with the odd pimple however that hasn’t happened. It’s a miracle worker!! This is my second most recommended product. 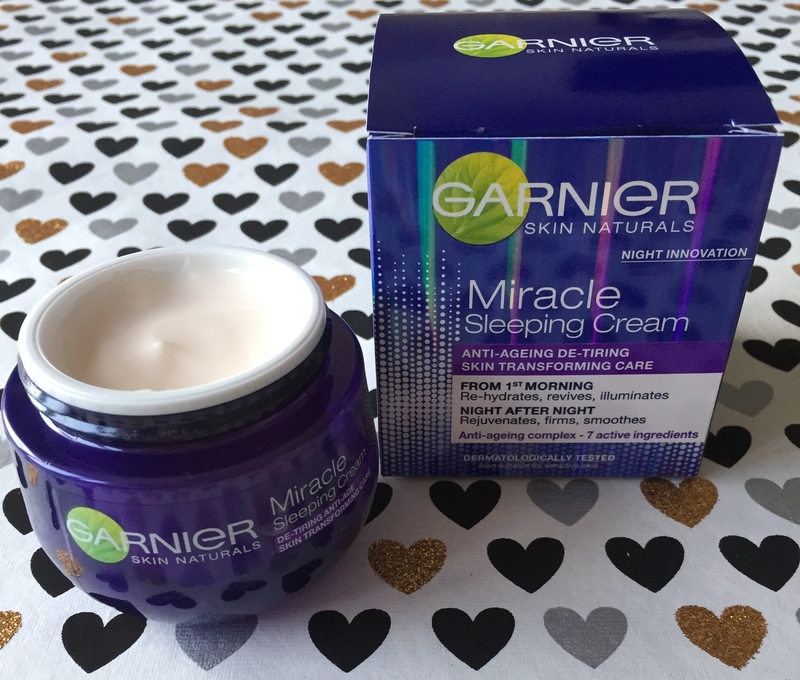 New on the market in the UK, this night cream will make skin look less tired, radiant and refreshed whilst hydrating the skin. Enriched with 7 active ingredients such as lavender oil, jojoba oil and extract of albizia, this formula helps stimulate skin cell renewal leaving skin feeling smoother and firmer whilst also reducing the appearance of wrinkles. I’ve been using this for about a week now and from the first use, you really do notice a difference. It’s light weight and non greasy which is perfect! For a high street brand, this is value for money and a product that really does work. I’m in love with it! 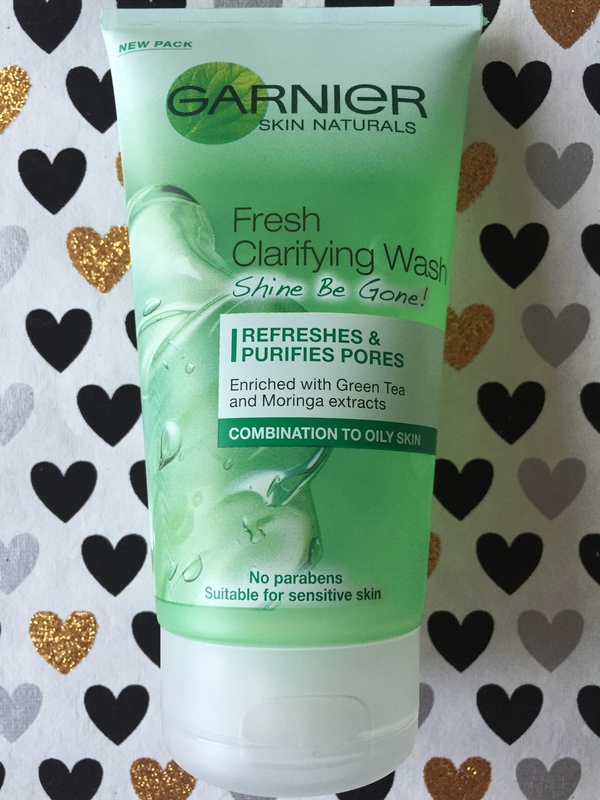 This clarifying face wash is perfect for oily skin as it targets shine from the first wash. It’s deep cleansing and it will refresh skin, remove sebum and purify pores. Enriched with green tea and moringa extracts which are flower seeds known for their purifying properties. I team this up with the next product for a perfect wake me up boost in the morning. If you are looking for something to combat dull and tired skin, then this is the product you need. 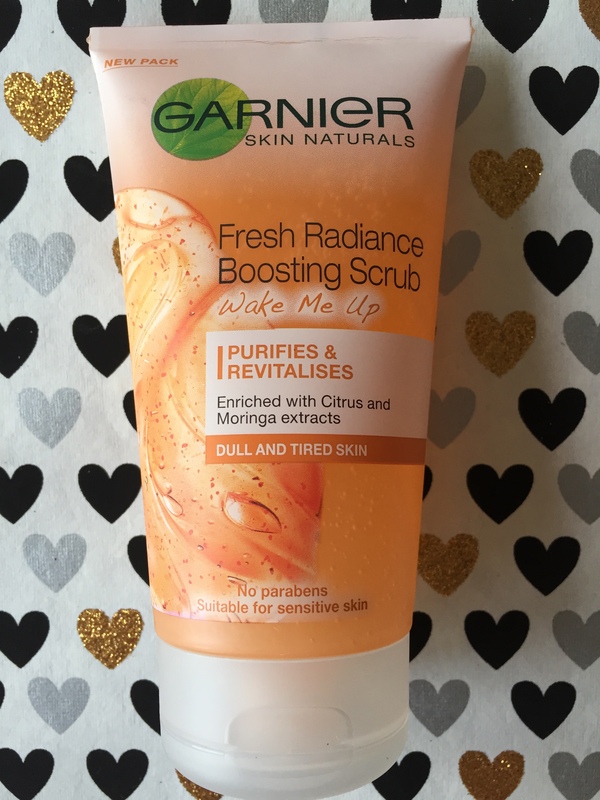 It will gently exfoliate away any impurities and gives skin that much needed wake up call. This product is also enriched with moringa seeds and citrus extracts. The scent is like oranges and the little exfoliating beads will unclog pores leaving skin looking brighter and smoother. I really like this and love the scent which isn’t overpowering. I absolutely love this brand and will never switch. 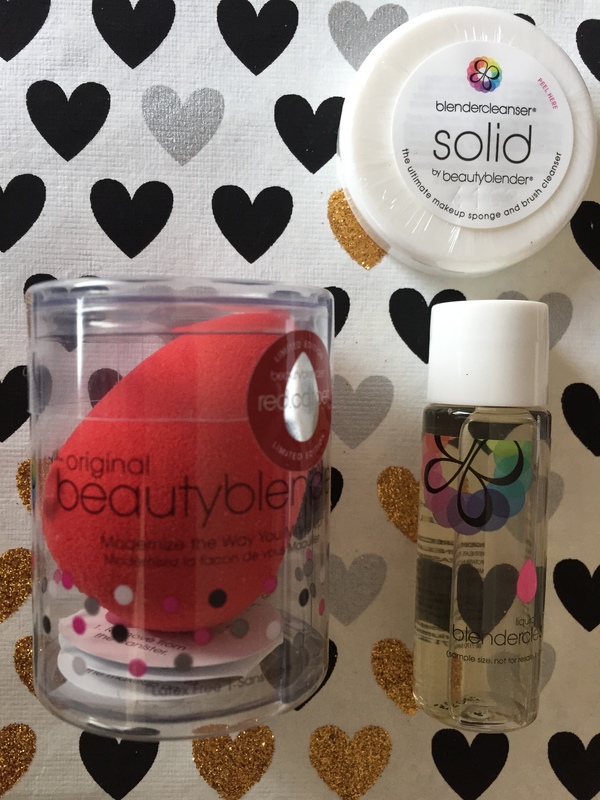 This small unique product is a miracle worker and I have to say miles better than any make up brush. I purchased this in the limited edition red carpet edition which came free with the solid and oil cleansing lotion to clean it. The solid is fantastic for removing excess foundation, on this and brushes. You can apply cream, liquid or powder using the blender however I stick to applying my liquid foundation. It enables a streak free seamless finish, which is like your foundation has been air brushed on. Much quicker to apply foundation that using a brush to buff into the skin. The pointed side is for hard-to-reach spots like around the nose and mouth, and under the eyes. The round base can be used for foundation and blush on the larger areas of your face such as your forehead, cheeks and chin. If you have problem skin, it also works to cover blemishes. I picked this up in the shade “Vanilla” as I am very pale skinned. 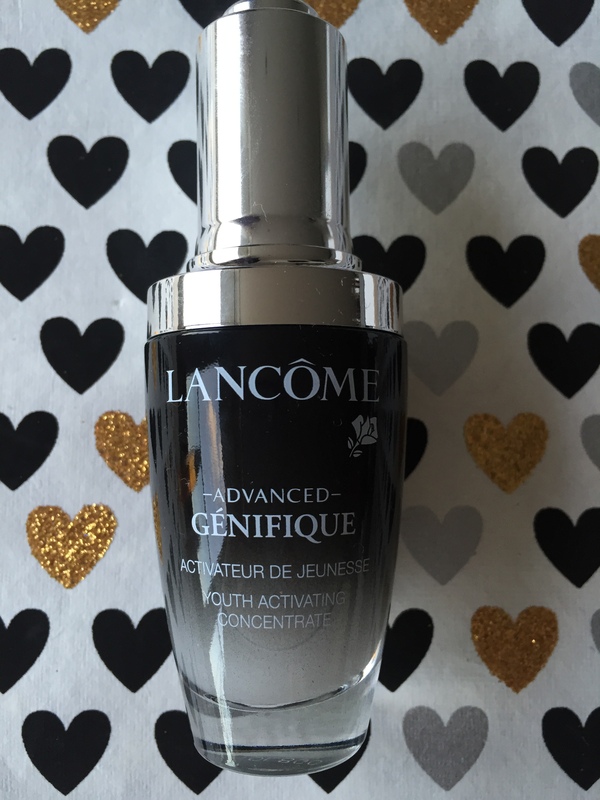 I was very surprised by this foundation as it glides on easily and is like a second skin. It has an air light texture with a demi matte finish which means it doesn’t appear shiny. It contains shine defy blotting spheres that act like blotting paper to instantly absorb sweat and oil within disturbing colour pigments. It is a medium coverage and it really does last all day! The clue is in the title with this one… it is a miracle worker! This light weight non-greasy oil helps to dissolve all types of make-up including waterproof mascara! You really only need a few pumps of the oil, I tend to use 6 daily in the evening and within 15 seconds, your make-up is removed. The product lasts for ages and is kind to the skin as it re-balances and purifies aiding healthy skin tone. 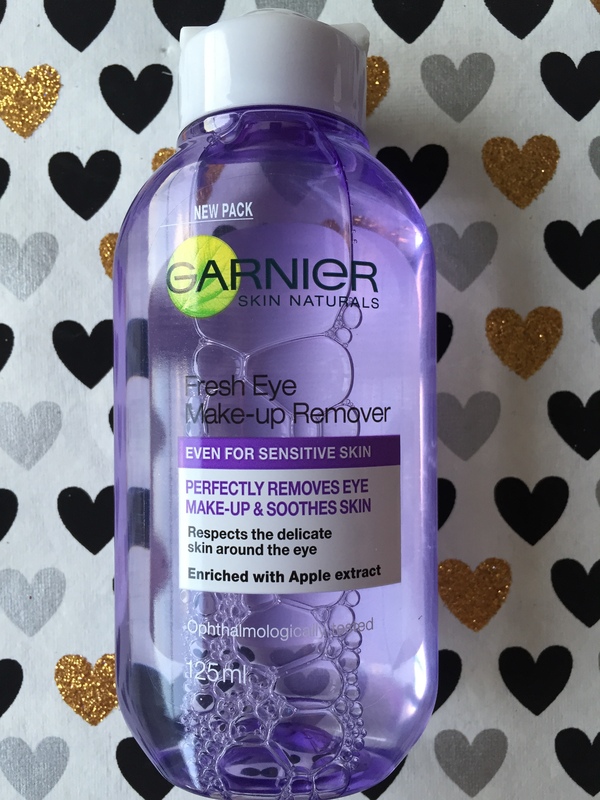 I use my Garnier Micellar water afterwards just to ensure that all my make-up has been removed but I was shocked that this took my eye make up off in the first go. I believe that as we get older, we should invest in a quality products to prevent signs of aging. Living in London which is filled with pollution and spending most of my days in an air conditioned office, this need is enhanced. With this innovative serum, it soaks into the skin targeting the 10 key signs of youth ie texture, resiliency, elasticity, firmness, sagginess, fine lines, wrinkles, radiance and skin tone. The results with this product become apparent after 7 days of continual use. I use it daily in the evening and have noticed a glow to my skin. The product feels silky on your skin and is easily applied with the self loading dropper. It’s a bit of an extravagant purchase I know however it does last a long time. This multi-action non foaming crème formula conditions and nourishes skin without drying it out. It leaves skin soft, smooth and supple. It gently removes impurities for a healthy luminous glow. 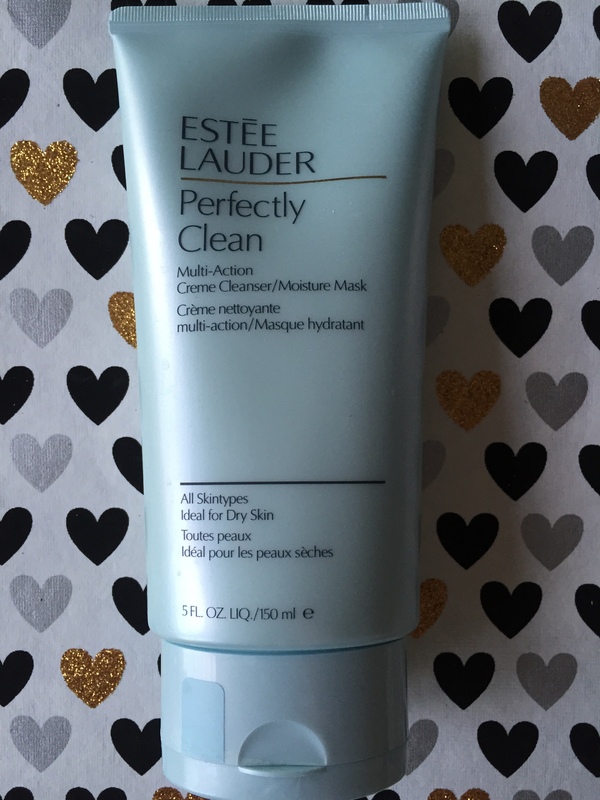 I love this product as it can be used as a cleanser or you can leave it on the skin as a 3 minute moisture mask. I tend to use it as a mask when my skin is feeling slightly dehydrated. After 3 minutes, or longer depending on how dry my skin is, I notice a huge difference. It’s an instant working product which is excellent if you don’t have much time to spend on your skin care routine. If you have tried out any of these products I’d love to know your thoughts. And, should you have your own favourite products that you swear by I’d also love to hear about those. Oh I will I will! ← Birchbox April 2015 Review – It’s Royally Good!